Earlier F-series trucks had separate rear fenders. © Greg Gjerdingen, Flickr. Fifth generation F-100s are more affordable than its older counterparts. © Greg Gjerdingen, Flickr. 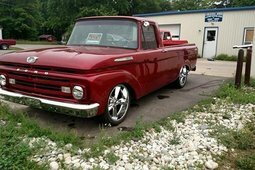 Early F-100 hot rod. © Brad Topar, Flickr. Later iterations of F-series got considerably boxier. © Michel Curl, Flickr. Ford F-Series trucks are a quintessential part of American culture, a lot like bacon or baseball. 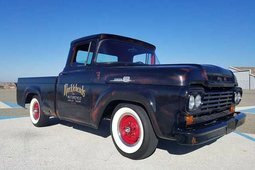 Blue oval badged pick-ups have been America’s favorite for decades now and although F-series were meant to be loyal work mules, they have grown to be family companions, hot-rodding platforms and even country music darlings. As of now, thirteen generations of the truck have been produced and buyers seem to be unable to get enough of this work-and-play machine. 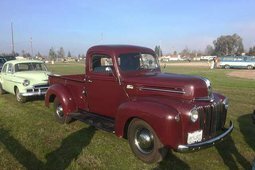 Ford introduced their first pick-up trucks around the time their competitors GM and Chrysler did the same – F-series debuted in late 1947 and reached first buyers in 1948. 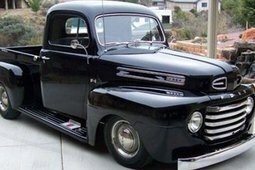 This was the first time “American big three” engineered their pick-up trucks from the ground up, prior to that it was just passenger cars with modified bodies. F-series ranged from F-1, meant to carry up to half a ton of cargo, all the way to F-8, designed to handle 3 tons of payload. Smaller models were and still are more popular among small businesses, families and hobbyists. Admittedly, Ford were not the first ones to the pick-up party. 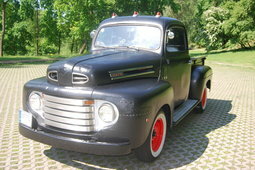 GM introduced their Advance Design trucks earlier, but Ford were the first ones to put a V8 in their F-series. The moment when a V8 pick-up truck rolled of the factory line is arguably as important in American history as signing of Declaration of Independence. Initially, slightly archaic flathead V8s were on offer, housed under a distinctive tall hood, surrounded by curved fenders. Soon enough, from 1952, Ford was offering more advanced V8 with overhead cams. There were also more economic six-cylinder alternatives for more reserved drivers. 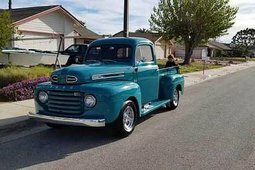 In 1953 Ford introduced the second generation of F-Series and changed their demarcation to the one that is still largely used today – F-1 was changed to F-100, F-2 and F-3 to F-250 and so on. 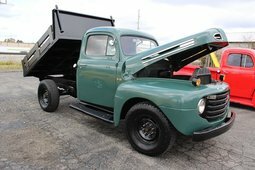 By that point, Ford had successfully developed a formula for a pick-up – take one chassis, put a powerful and reliable engine on it, offer a variety of cabs and beds. 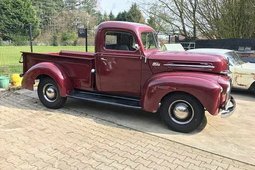 The recipe did not differ much for the decades that followed, although the trucks changed their appearance from early rounded-off to later utilitarian square bodies. 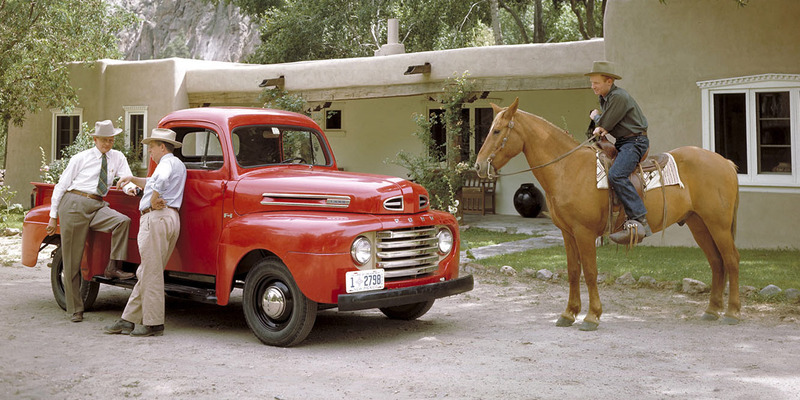 Despite basic architecture of F-Series enduring through the time, some innovation did happen - Ford began offering automatic transmission in 1953 and 4x4 system in 1959. These developments were received well, unlike some other innovations. 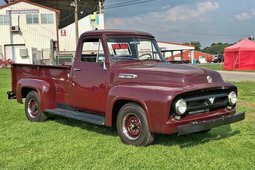 In 1960, when introducing the fourth generation of F-series, Ford decided to modernize their trucks and offer unibody design, molding cab and bed together. Although this construction offered significant cost saving benefits in construction process, as well as potentially shedding some weight, the customers mistrusted it. Buyers were afraid the new design would cause the cab doors to get stuck should the truck be heavily loaded. Concerned about losing their clientele, Ford reverted to their tried and tested previous design in 1962. In 2015 Ford introduced perhaps the most groundbreaking change in F-series line-up, aluminum body in order to improve truck’s emissions and fuel consumption. These innovations can be explained by Ford’s trying to gain an edge over its competitors. F-series were involved in the classic big three rivalry from the day one, competing against the offerings from GM and Chrysler. The competition became even clearer when Chicken tax was introduced in 1963, putting additional fees essentially stopping the sales of non-domestic truck. Despite the rivalry, Ford managed to maintain leading position for most of the time, in fact, the lightweight version of F-series, F-150, has been the bestselling truck in USA for 40 years, and even the bestselling vehicle overall for 35 years. F-series have most definitely transcended its humble pick-up function. The trucks have a cult following among car enthusiasts and in popular culture as well. 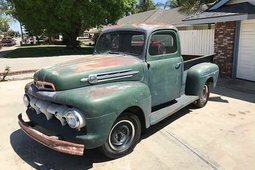 There are plenty of dedicated owners that restore and modify these old workhorses. Since the start of production, almost always F-series have been favored in hot-rodding community, due to their powerful V8s. Their popularity is not limited to USA, you can find some anywhere where people have a soft spot for American muscle, including Canada, Australia and Northern Europe. What is more, one can find dozens of American country songs that reference Ford F-series, loaded with southern nostalgia. 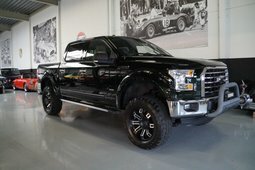 In addition, a country music superstar, Toby Keith is an avid Ford fan, expressing his love for the brand in his songs, music videos and interviews alike. The fact that these trucks have been so popular means they are rather attainable these days. 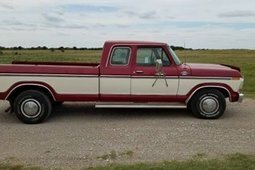 F-150 from the 70s can set you back as little as EUR 5,000, meanwhile early Ford F-1 or F-100 can cost ten times that amount. Naturally, V8 models are going to be more costly than their 6 cylinder counterparts. Regardless which option you go with, you can expect classic pick-up looks and extraordinary dependability from your Ford truck.